According to the latest set of data published by the Financial Futures Association of Japan (FFAJ), binary options trading remains on a downward trend on a monthly basis and in decline annually. The just released data shows that during the month of September 2015 binary options trading volumes in Japan reached only 45.97 trillion JPY in total. 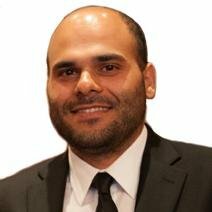 The month of August 2015 saw binary options trading volumes total 48.73 trillion JPY, which was also a decline compared with July’s figure. Overall the binary options trading volumes in Japan went down by 5.7% month-over-month in September 2015. Looking at an annual comparison basis the September 2015 figure looks even worse. 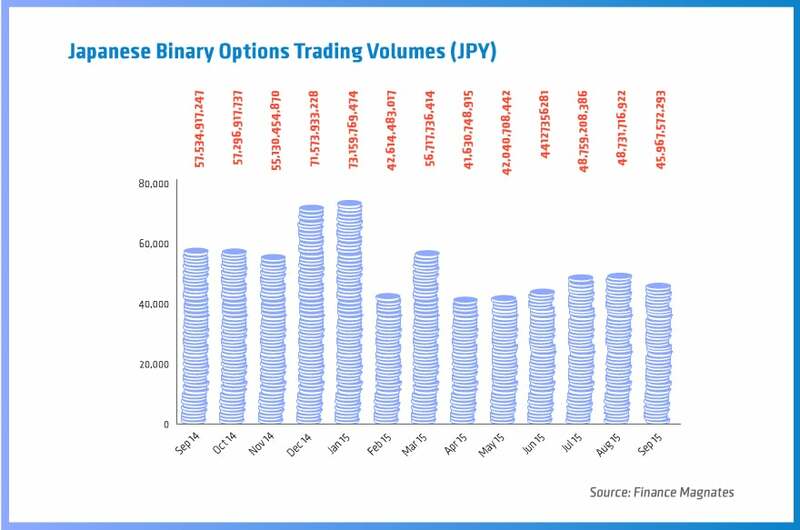 Total binary options trading volumes in Japan went down by over 10 trillion JPY over the year, from 57.53 trillion JPY in September 2014. This marks a 20.1% decline in volumes year-over-year. The sluggish binary options trading volume in Japan may be partially attributed to a further decrease since August in the number of active accounts, which fell by 216 to 14,198 in September 2015. The total active accounts number during the month is 13% lower than the same time last year. Despite the fact that September 2014 was a peak in the number of active accounts, the overall picture is of a steady and slow decline in the number of active accounts in Japan – not a crash.